Huawei recently had an event in London, the city of dreams. Here we saw the first look of the latest flagship of them, the Huawei Mate 20 series. This article is not on the smartphones launched by Huawei in the launch event. It is about the little change adapted by the brand to improve the external storage space for their new flagship devices. Huawei put up the history of mobile storage options of last 15 years, where the sdcards were ruling all over. Be it the mobile phones, cameras or others we all have used the little chip made of PVC or simply, plastic. Day by day, the smartphone manufacturers are finding excuses to put that little thing out from their smartphones though, starting from Apple iphones. But some brands like Samsung are still providing the feature in their flagship level phones. Huawei Mate 20 series is also one of those. It does come with an option of expanding the memory with external storage device (hybrid slot though). But in its own way. 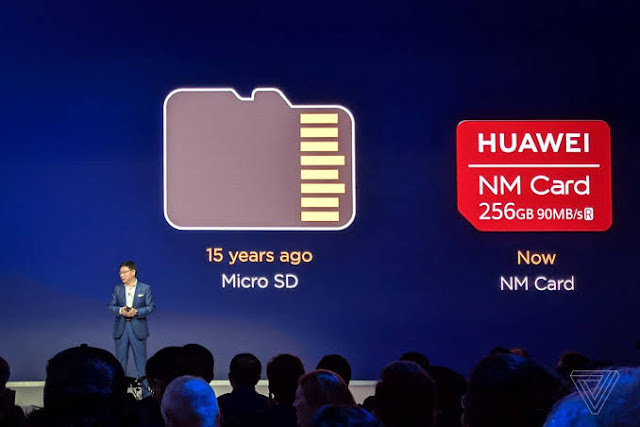 Huawei in their recent launch event, have introduced their new memory cards called the NM cards or the Nano memory cards. It looks almost like a Nano SIM card and also is 45% smaller than the normal sdcards, according to Huawei. It fits in the Nano SIM slot so that manufactures do not need to provide any different slot for the sdcards. This storage devices are exclusively available from Huawei for now and can be seen from other manufactures too as Huawei is collaborating with other manufacturers to produce same NM cards vastly. And we can see the new memory cards from other brands also in the future. The NM cards are only available with 128 GB and 256 GB storage options for now. These cards provide the speed of 90 MB/s for now like the UHS I or Class 10 microSD cards. That's common for the class 10 memory cards. Even we get better read or write speeds in microSD cards. So no extra features we will be getting from these new chips except the smaller form factor. This was totally based on people's demand for expandable storage and to have some extra space in the device for other parts of the device. 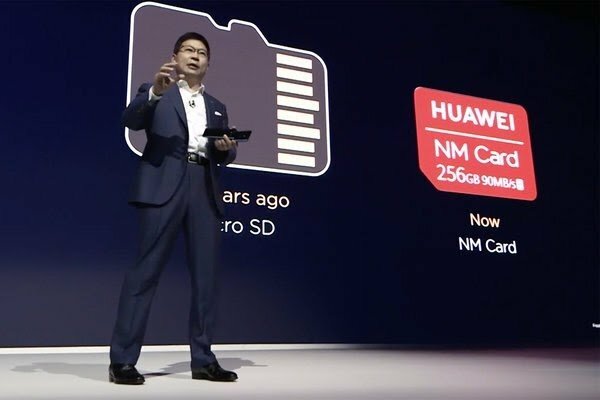 Huawei might launch lower or higher storage variants of the NM cards and also these new storage types may spread across the globe by different manufacturers also. Huawei has launched the NM cards with the most popular storage variant and must come with different storage variants and capacities also like UHS III or more fast options. Definitely this small chips need an evolution.